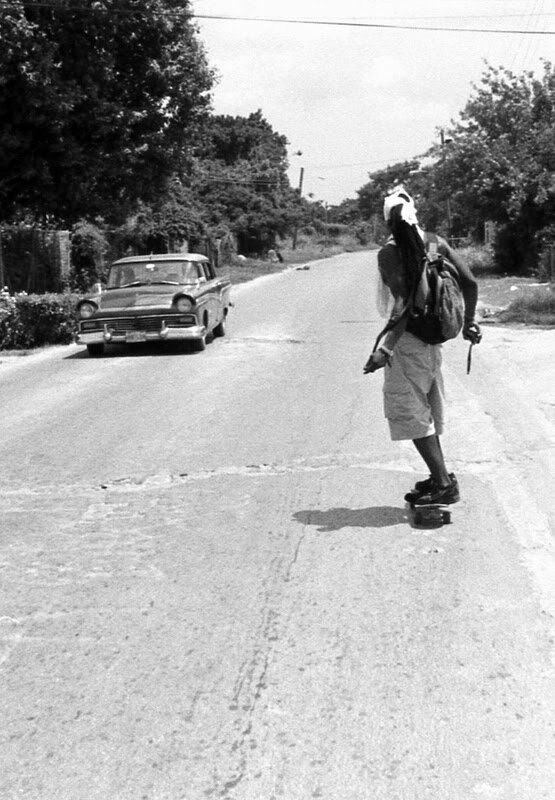 I've been thinking a lot about the Cuban skate scene and documenting it. 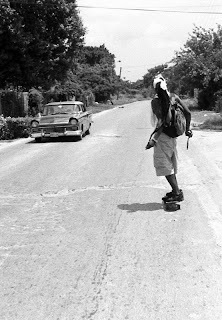 Besides my feet my skateboard is my main mode of transportation within the city of Havana and the scene there is small enough that almost everyone knows one another or of each other. This year I'll be trying to document and photograph more often this being one of the things I'll be focusing on and maybe 2 other projects/places, so keep a look out for negative scans at some point in 2011. Also this year hopefully will bring me to more places outdoors, indoors and around doors, so be on the look out for reviews of tourist sites, restaurants and other places in Cuba with photographs (most likely very delayed but eventually there) to helkp you make your way to certtain spots or entice you to visit this beautiful forbidden island. This is how the dinner show at the Havana Club at the Melia Chiba Hotel begins. From there the trumpet player moves to the stage and joins his Jazz ensemble and they begin to play boisterously. After there set winds down a smooth deep baritone leads his quintet on stage where they begin their barbershop style act. They sang in English, obviously not their first language by their pronunciations, so it was a bit confusing, but nonetheless they had incredible voices. The Quintet closed strangely with Frank Sinatra's New York, New York, a confusing number for a Habanero song group, but the baritone killed it. Following their exit a song and dance number arrived complete with flashy gowns and flamboyantly dressed singers. They performed some salsa numbers, some ballads, and had a number of costume changes. The dancers, singers and their overall performance was on par with what you'd expect from any tropical dinner show. In the end I had to leave early since I live outside of town and hate waiting for that last bus, so I never found out if there was more beyond that or if there was dancing and a live band at the end. The food wasn't the best nor was it the worse, it has its place right there in the meaty part of the curve, the fixed menu is so-so, the a la carte has more options obviously but if you're there witha tour ou don't havea choice. Drinks are overpriced (what would you expect when staying at the Melia though) but their selection of top shelf liquors is better than most places. I recommend Havana Club to anyone who enjoys any of the things mentioned above and a very typical dinner show, or anyone entertaining older guests from out of the country. Cuba y Puerto Rico son de un pájaro las dos alas reciben flores y balas en el mismo corazón. great people there, hope to head back soon.